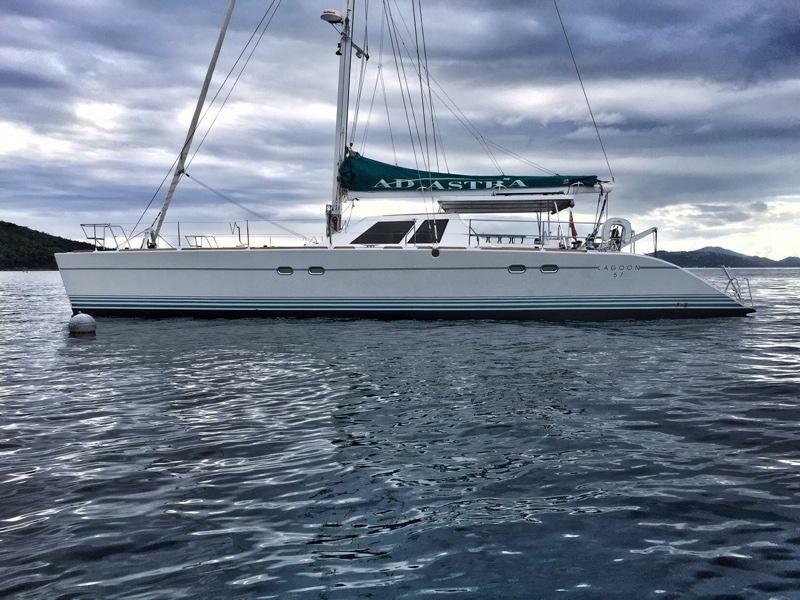 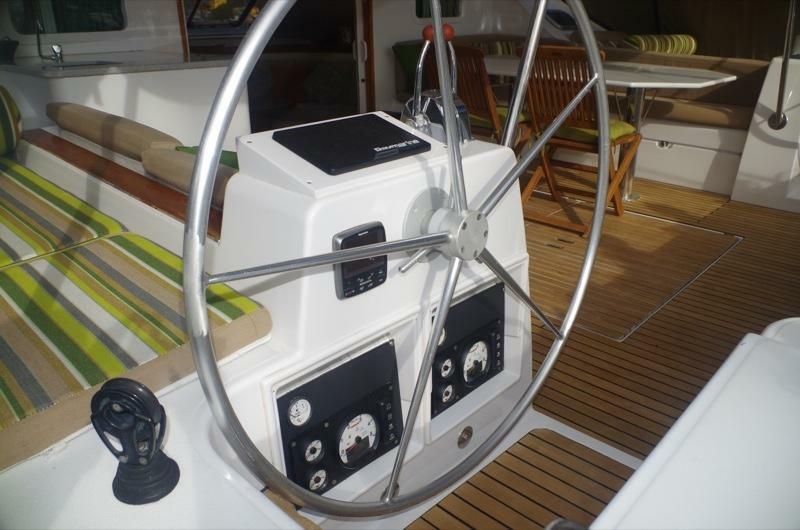 Meet 'Ad Astra', a legendary Lagoon 57. 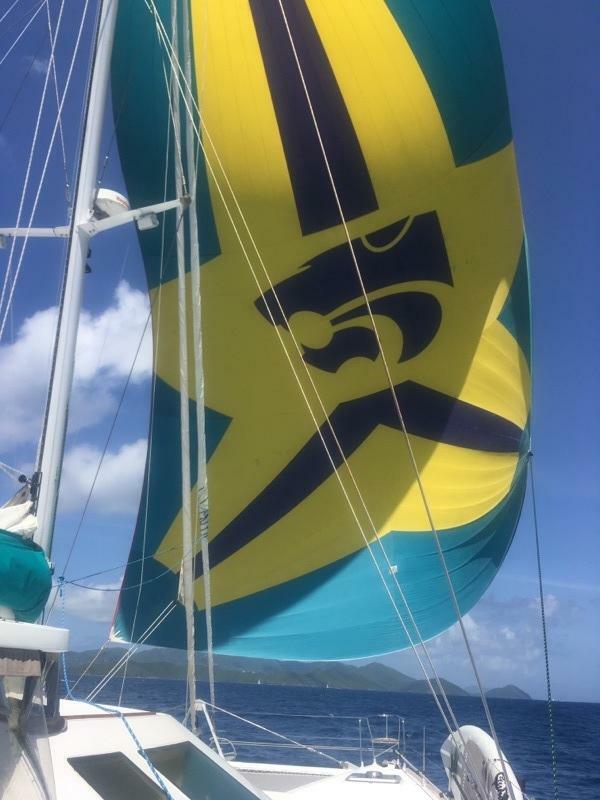 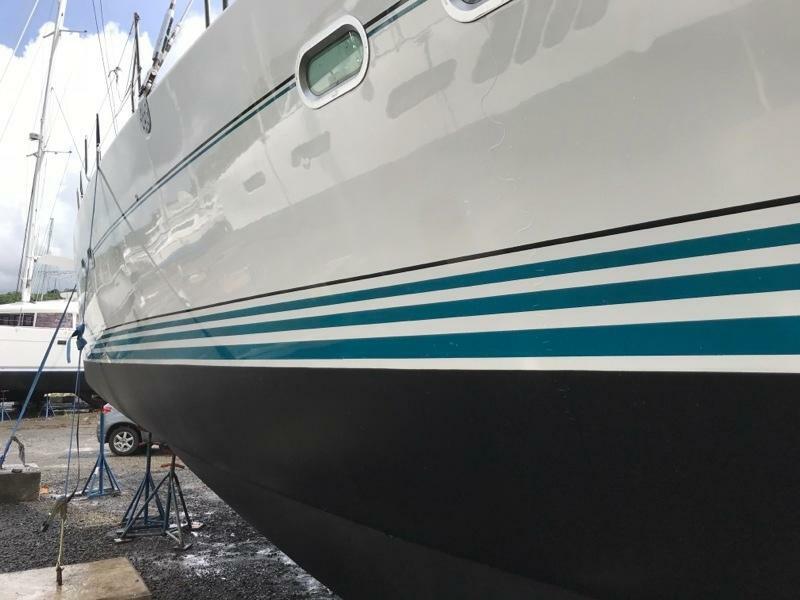 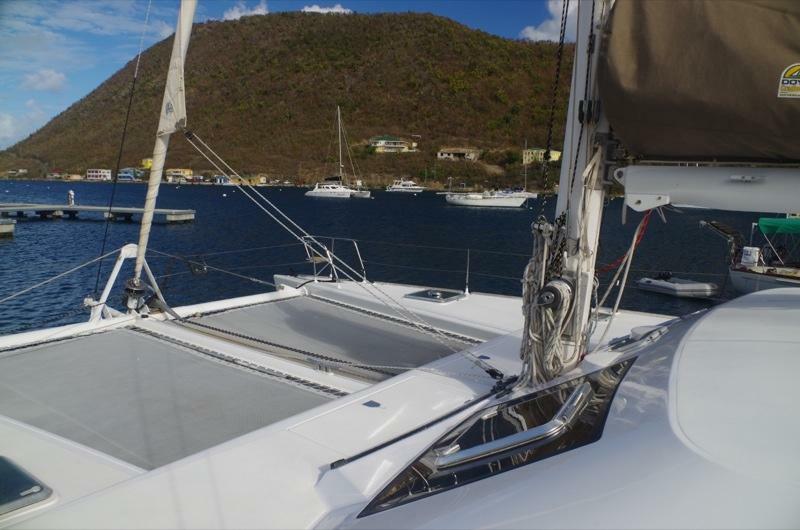 From the famed VPLP stable, the 57 is a fast and robustly built ocean cruiser, yet with a high degree of comfort and luxury for all onboard. 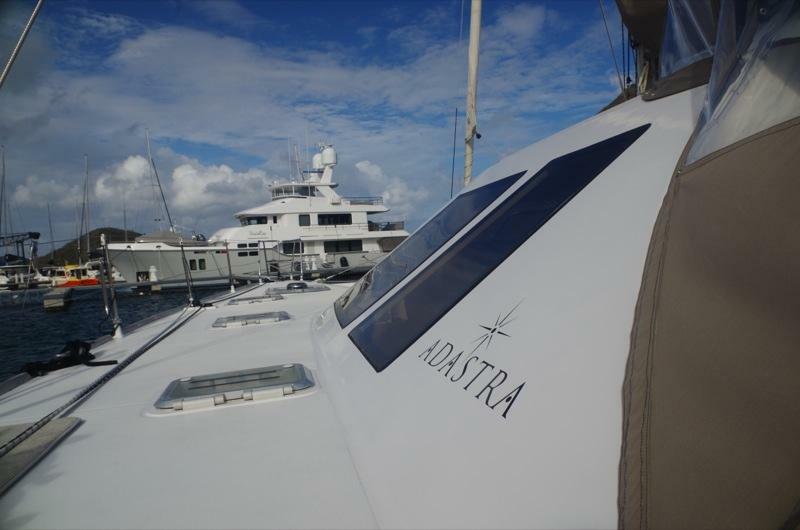 Beautifully finished, 'Ad Astra' has benefitted from frequent upgrades and refits. 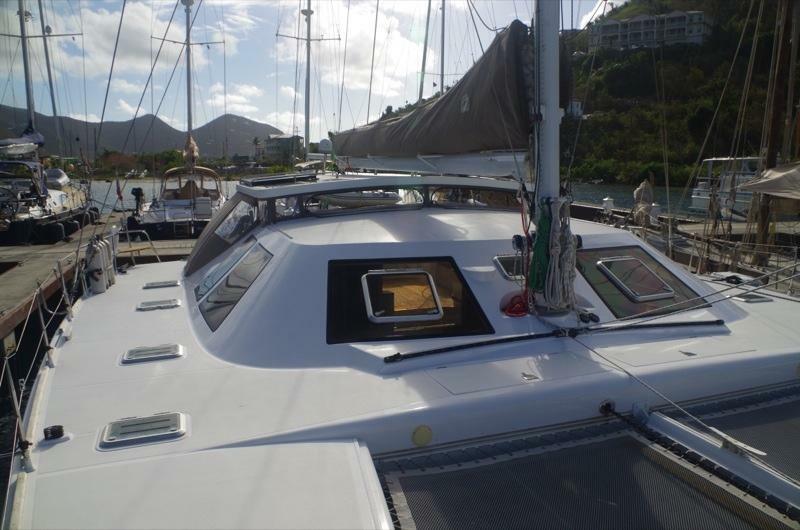 Please refer to her full specifications, to see all that has been done. 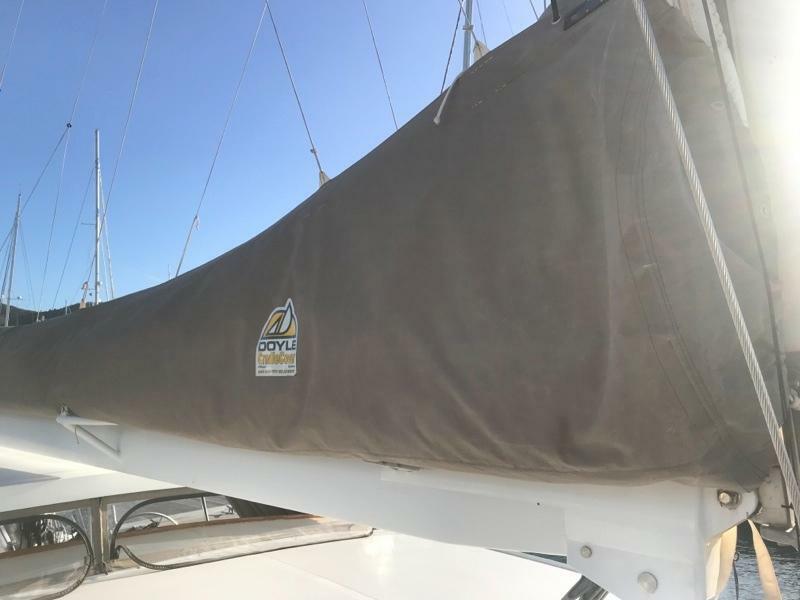 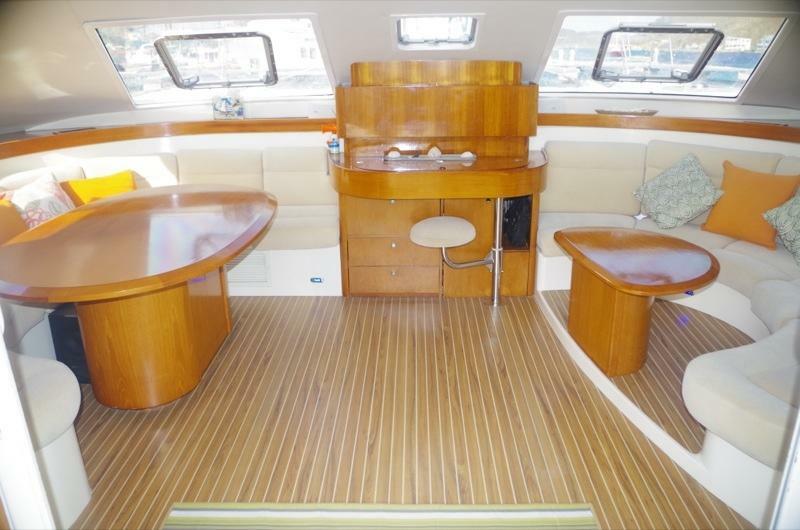 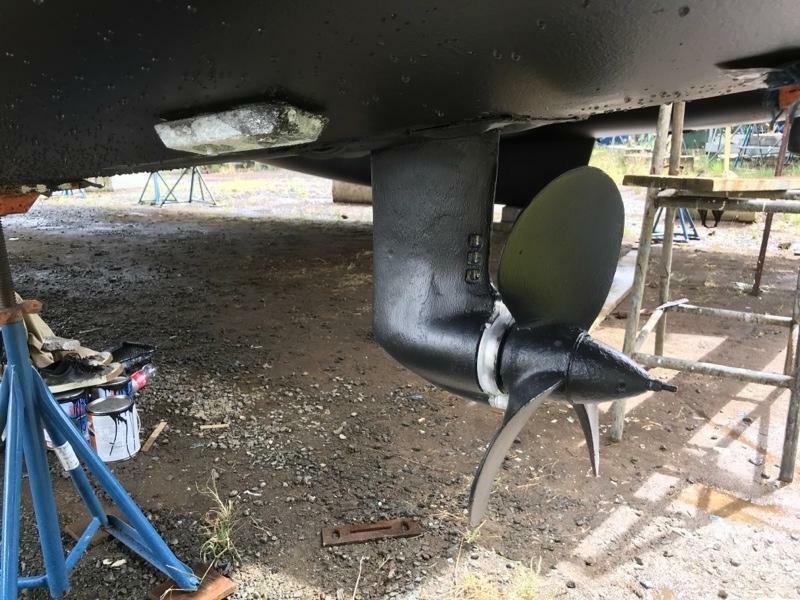 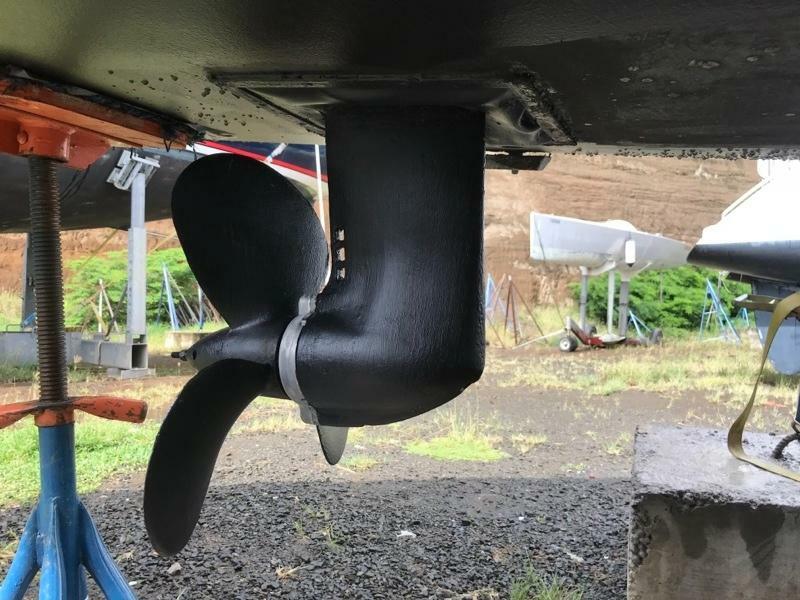 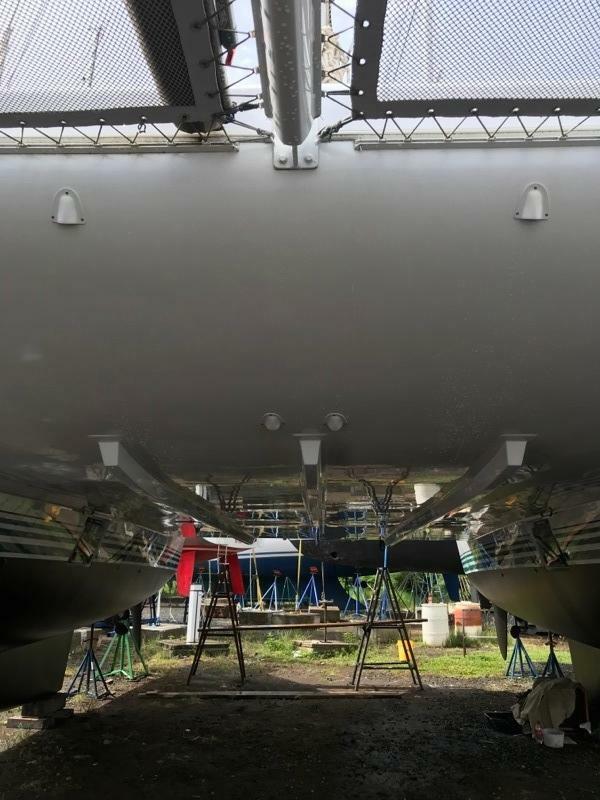 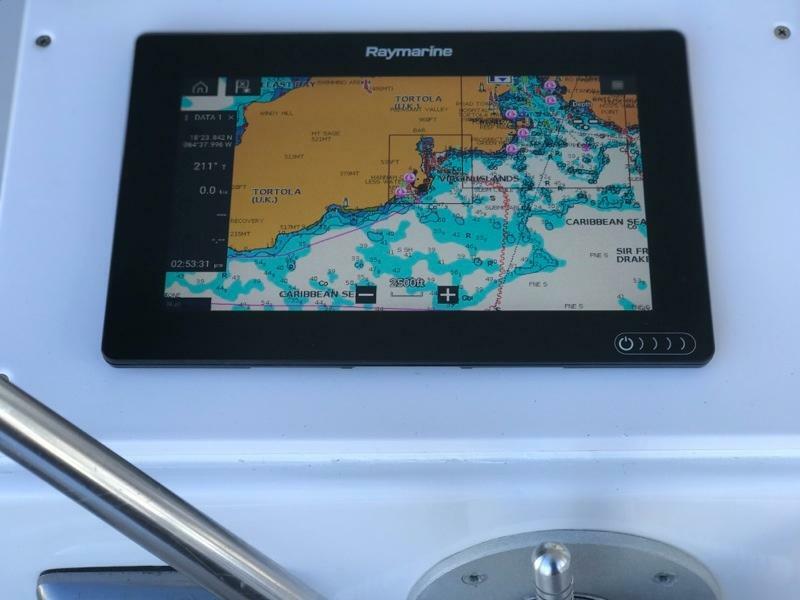 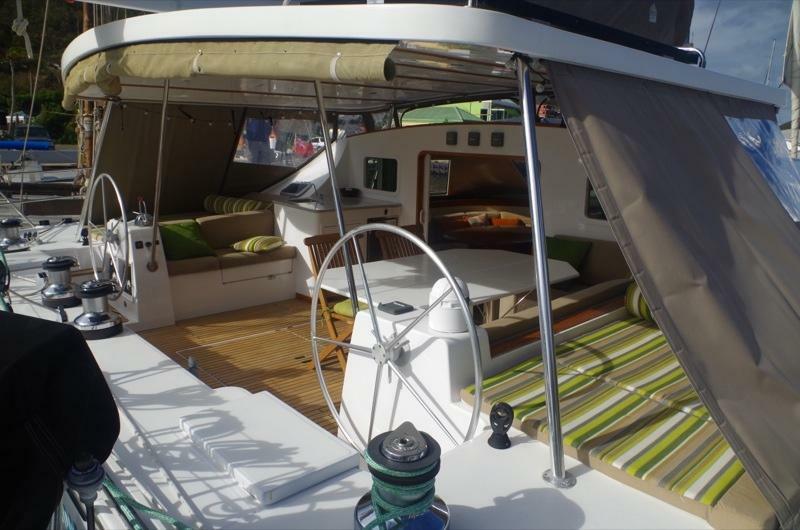 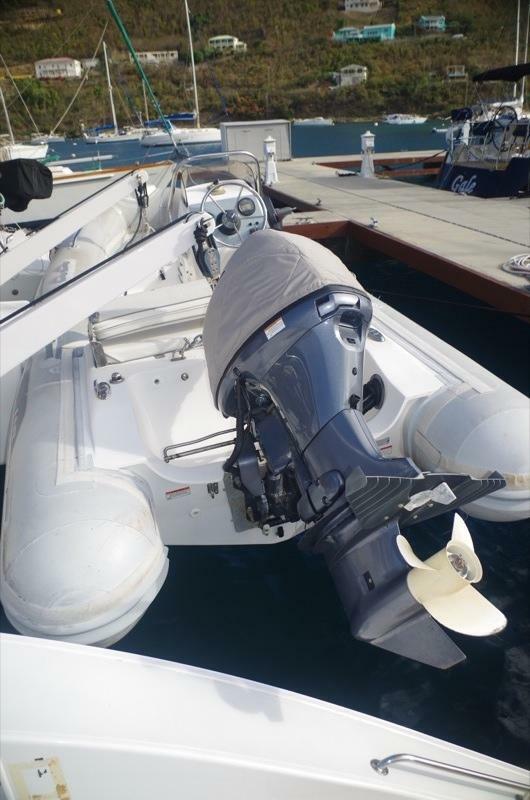 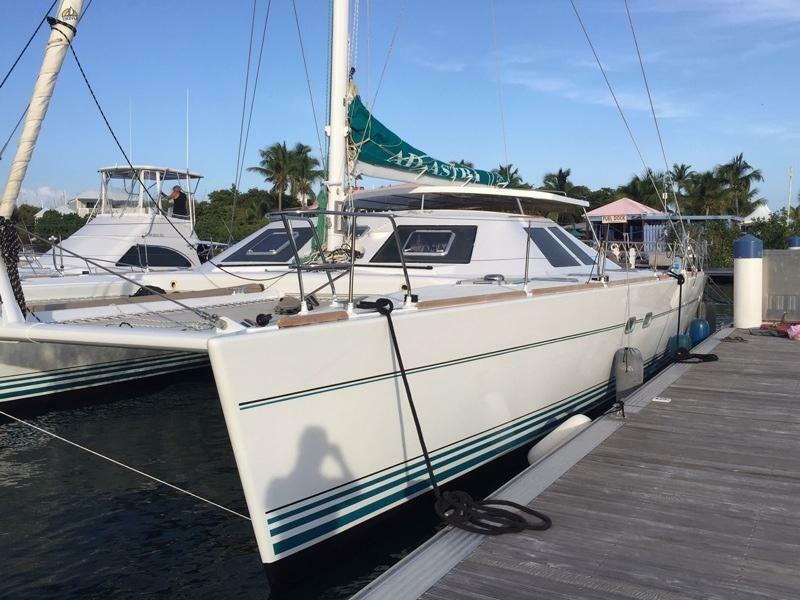 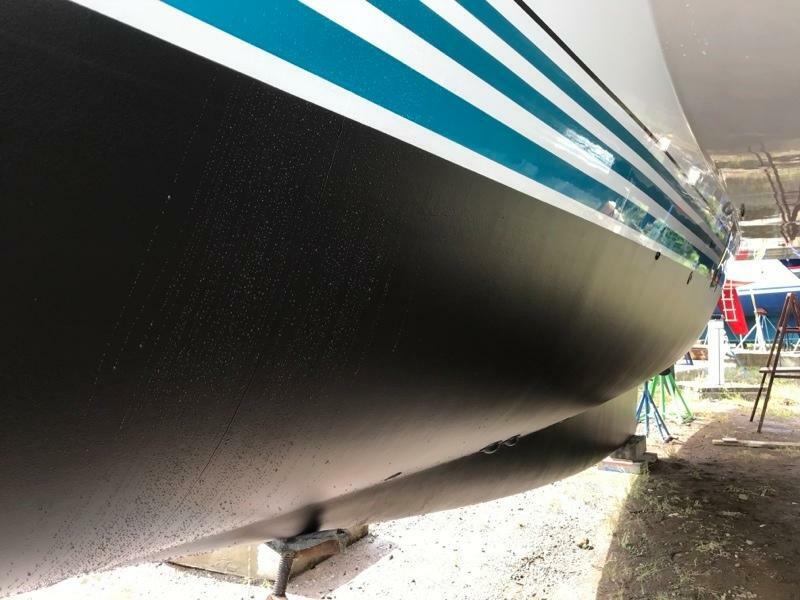 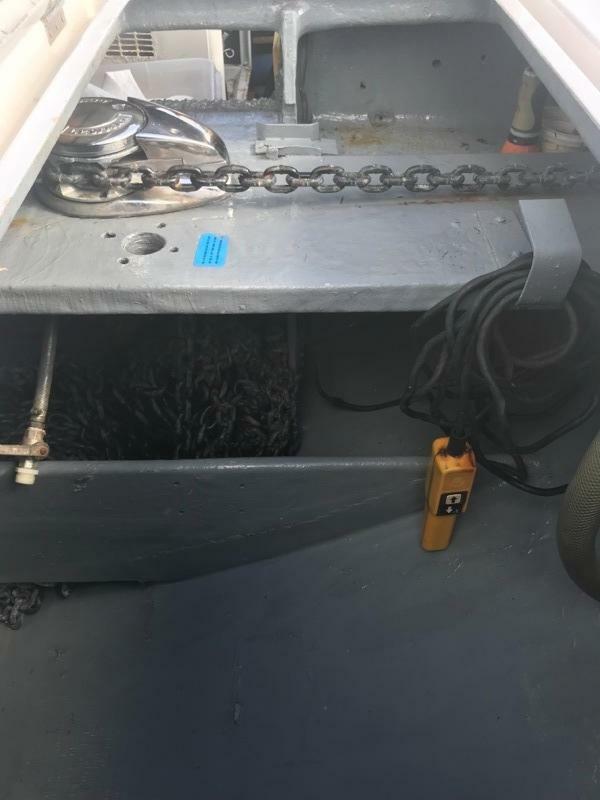 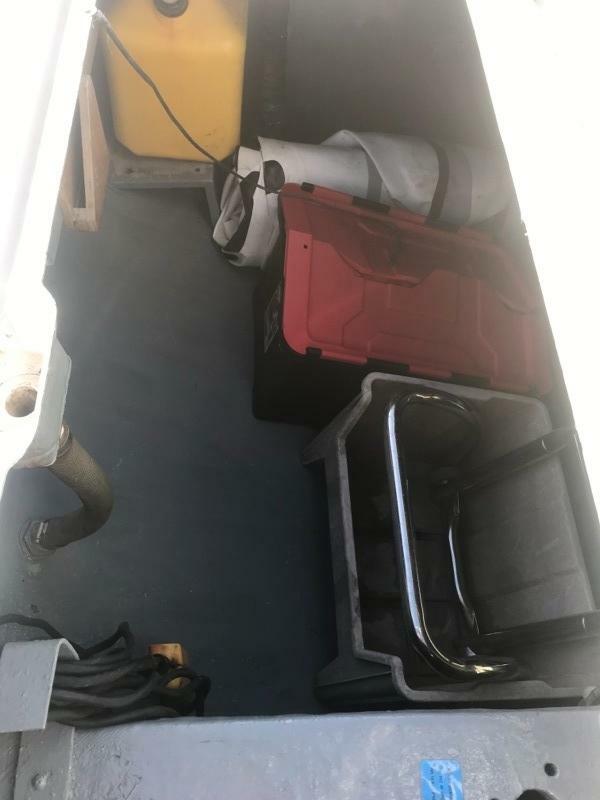 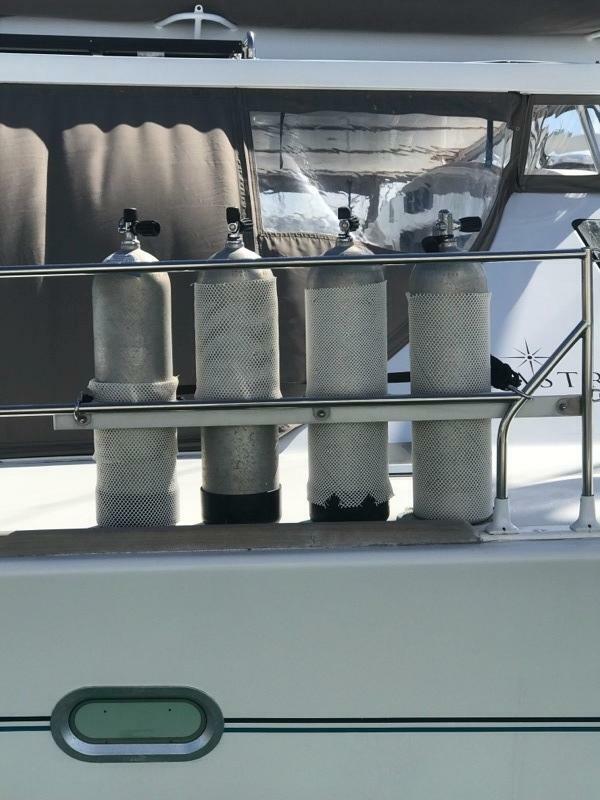 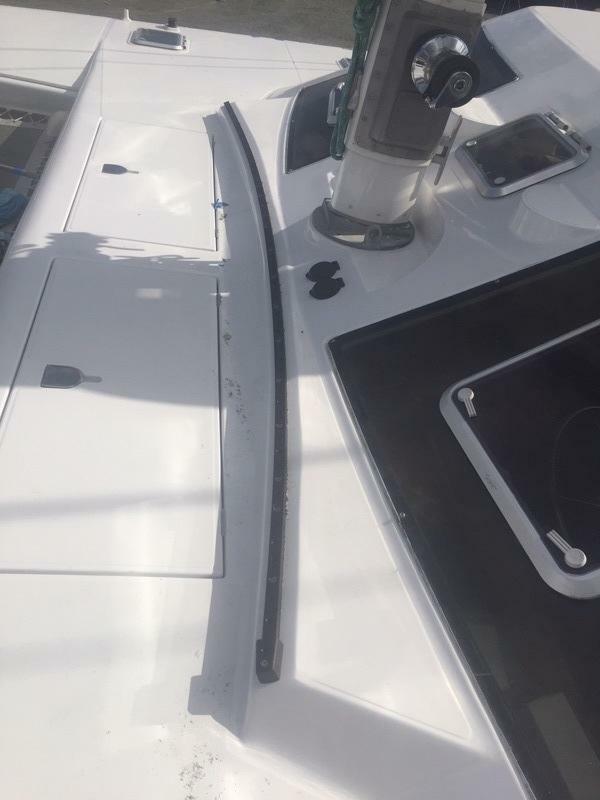 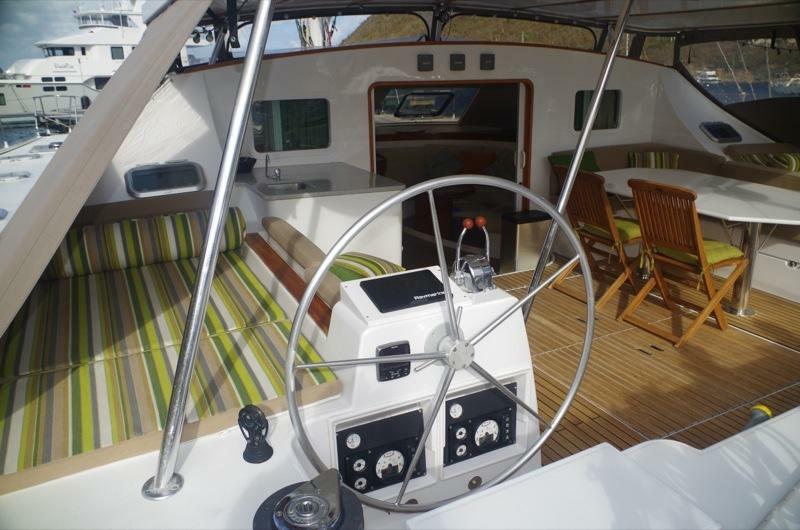 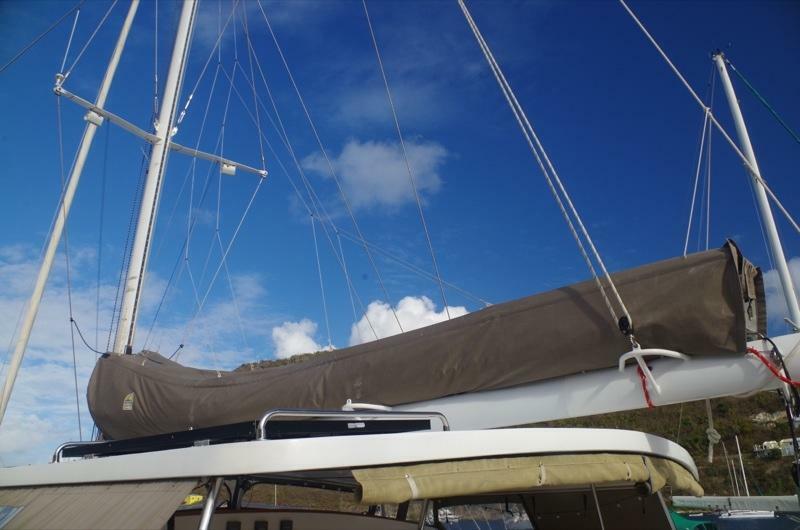 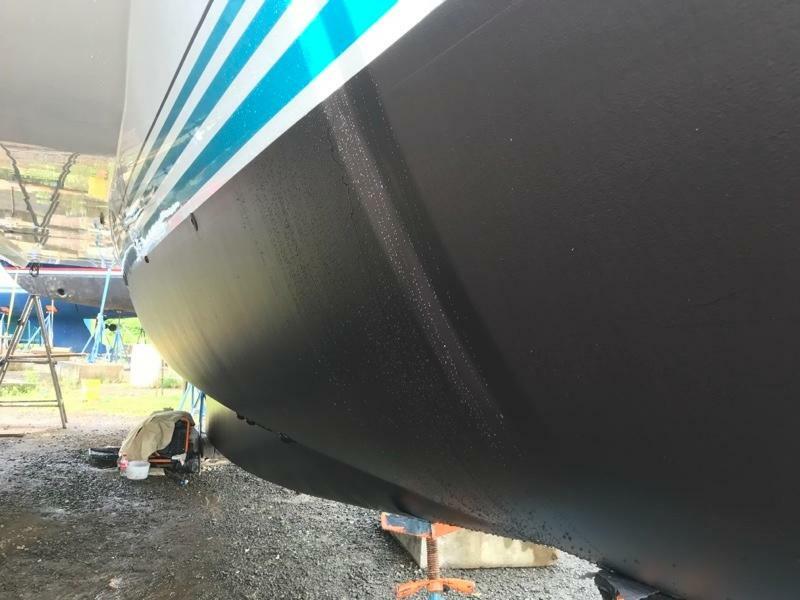 Water maker, 1060W of solar, full air conditioning throughout, recent hardtop, 15' RIB with new outboard, Code 0, spinnaker, fresh paint job and many recent upgrades, are but a few of this appealing yacht's features. 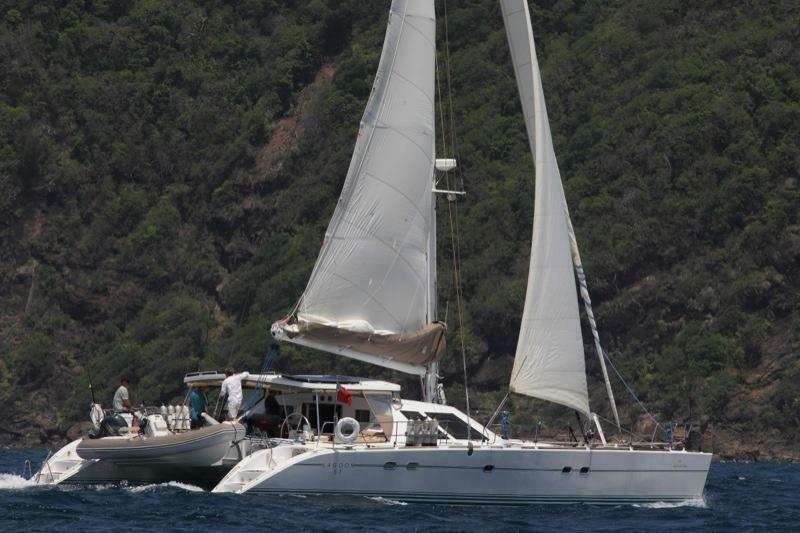 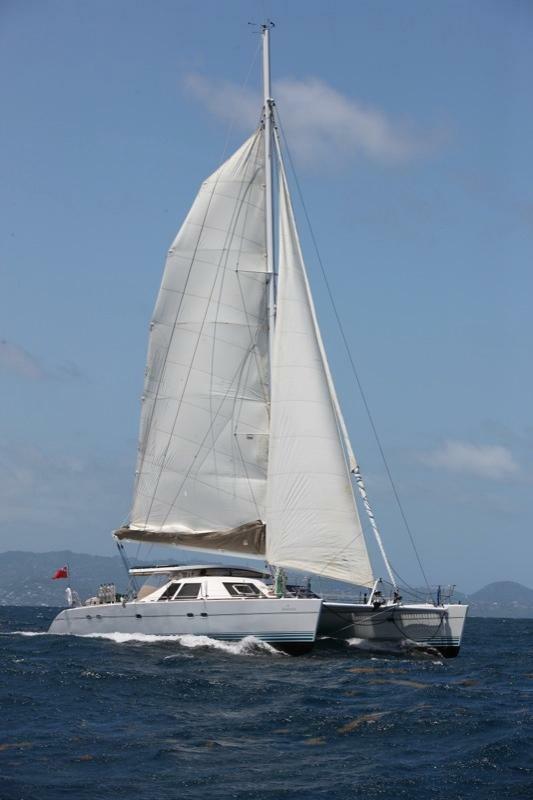 'Ad Astra' has operated in the Caribbean, for a number of years, as a very successful crewed charter yacht. 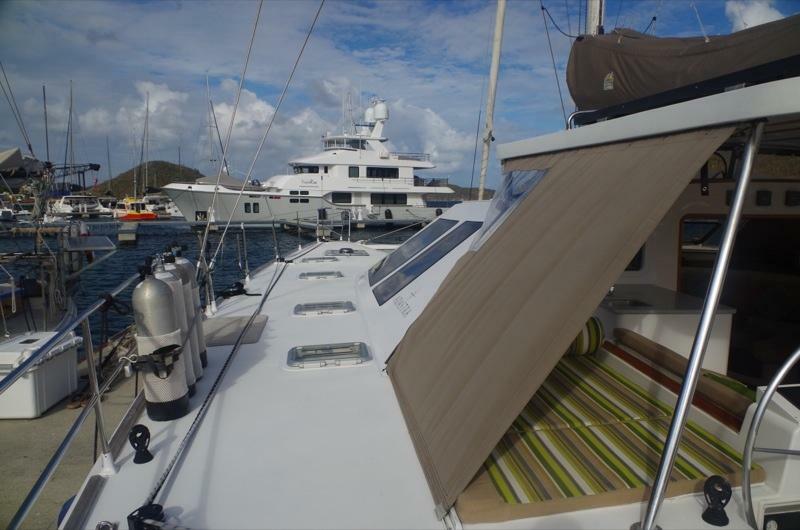 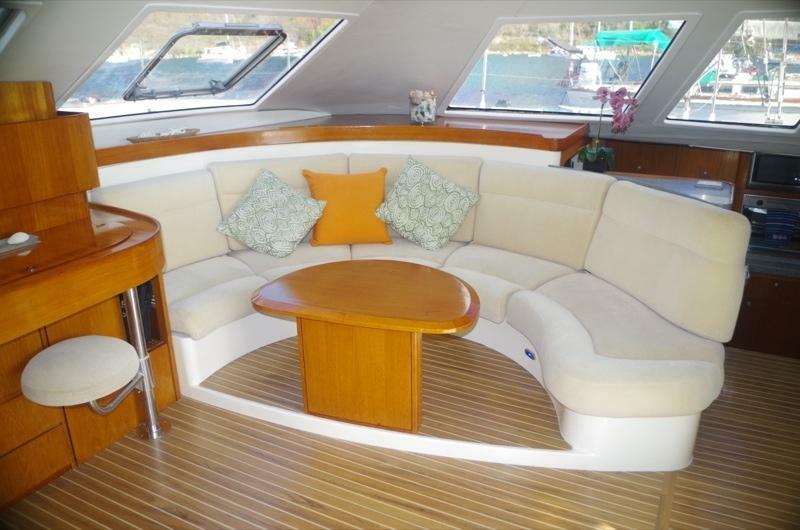 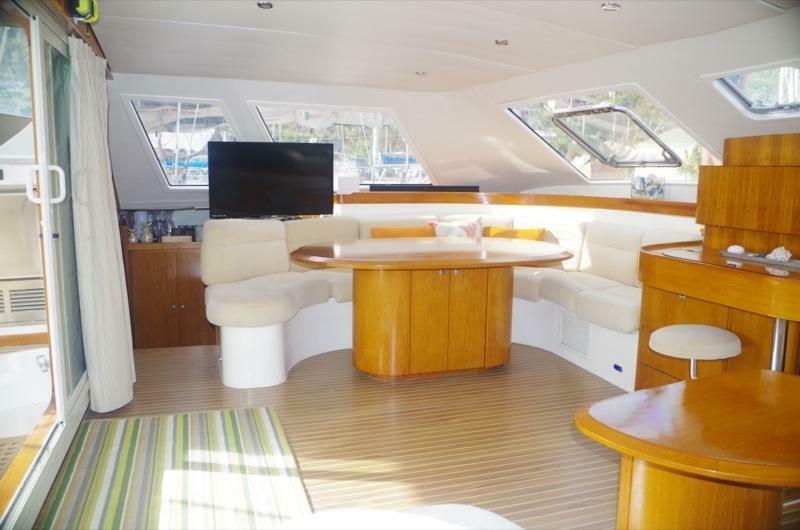 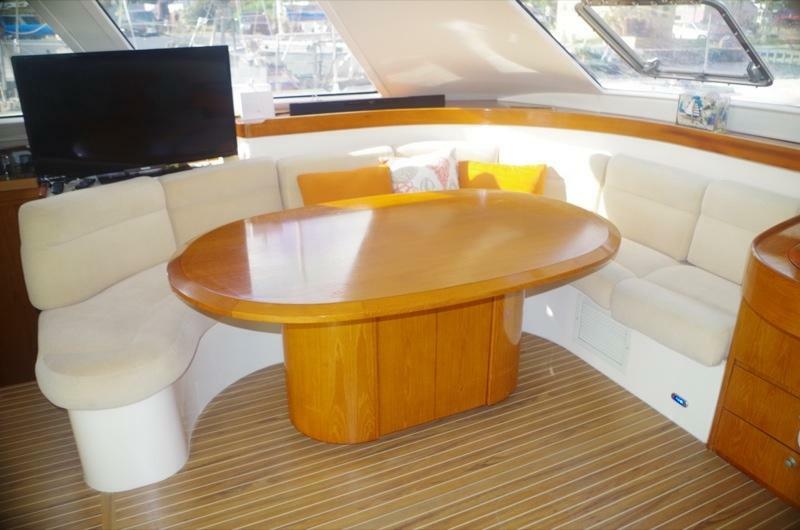 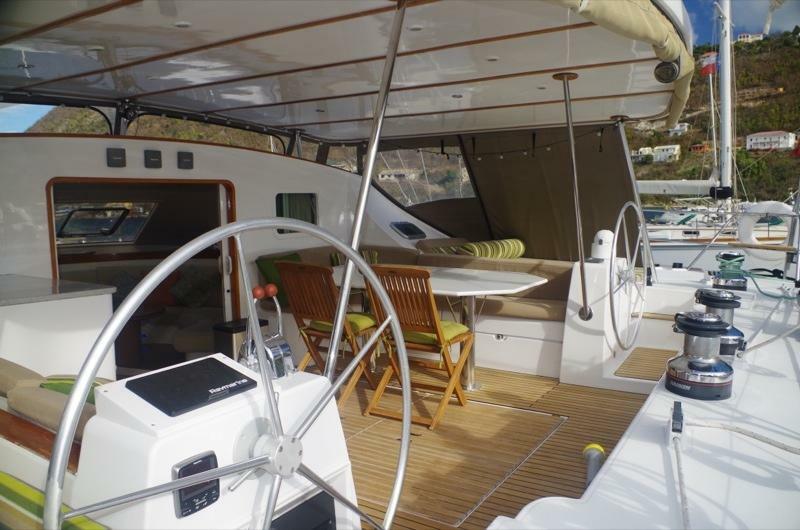 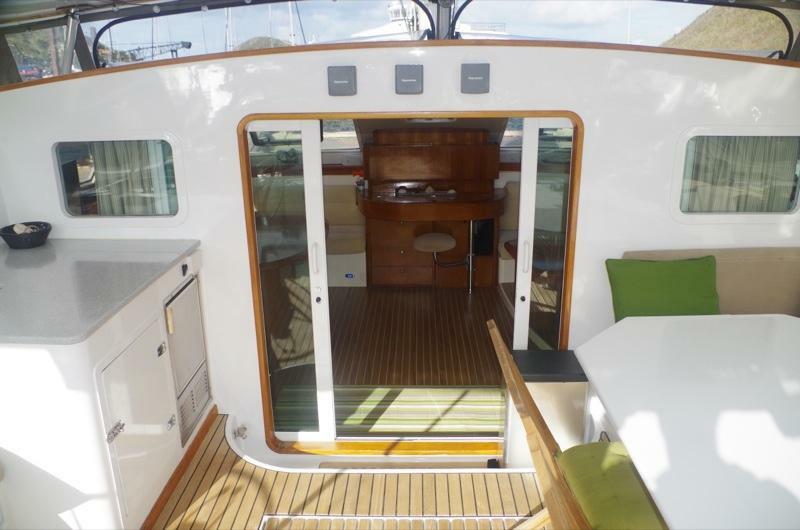 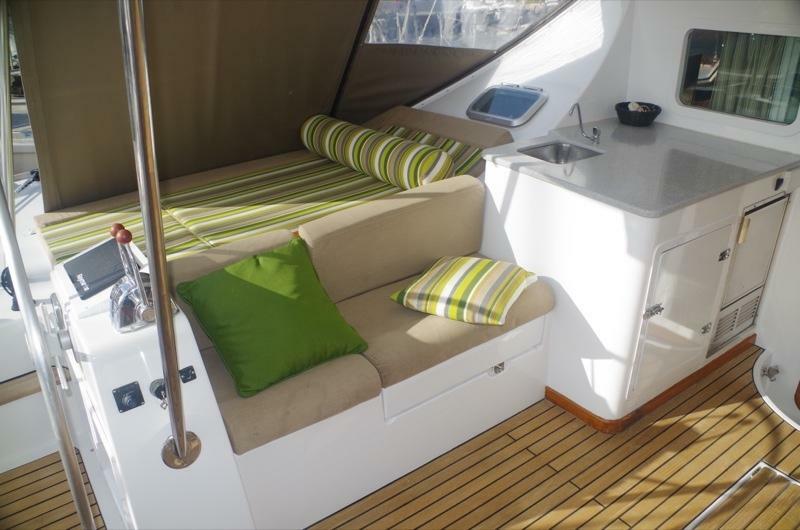 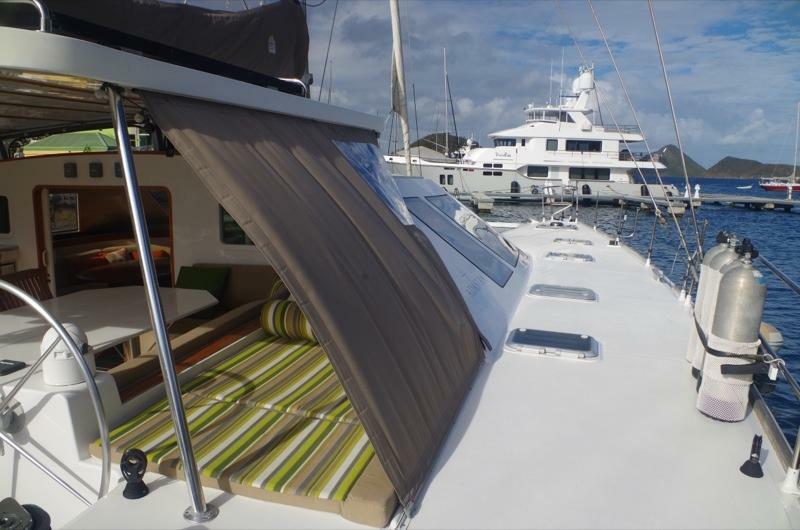 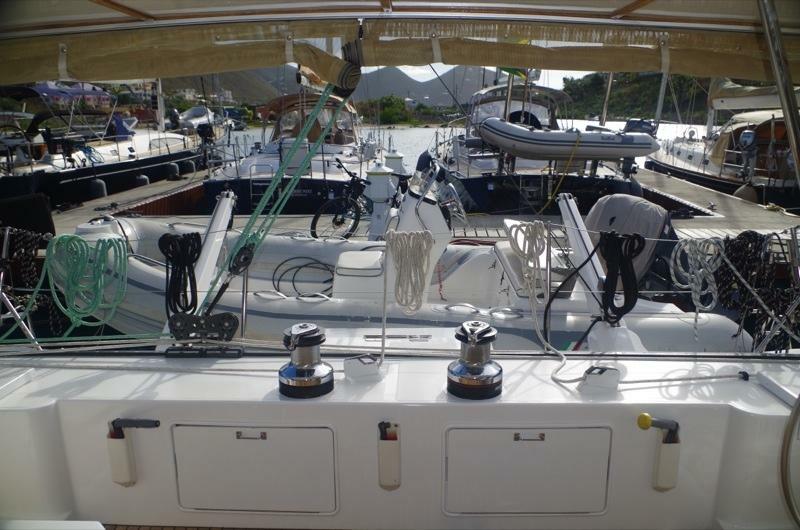 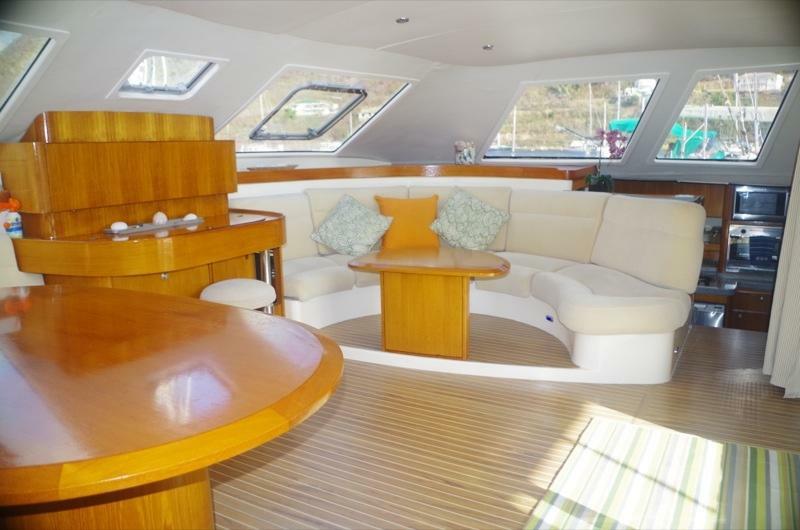 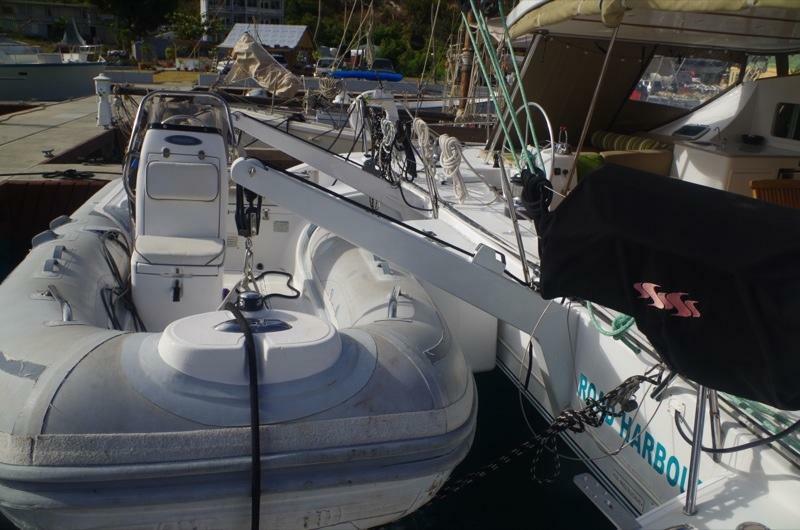 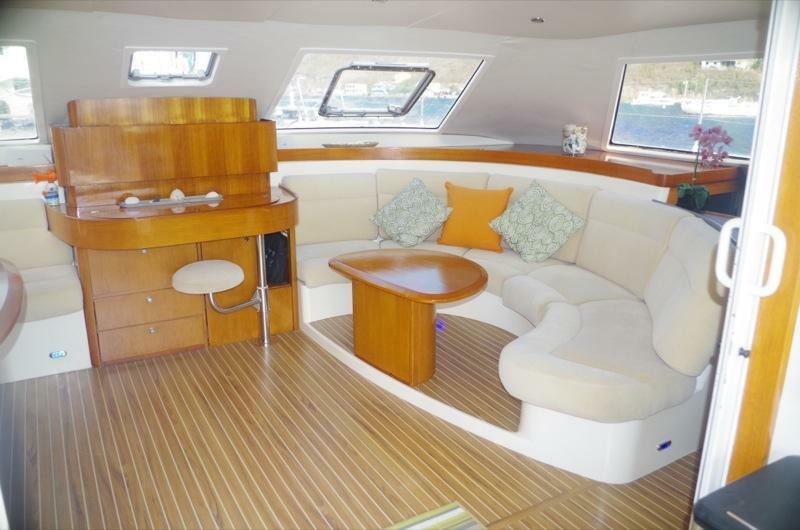 Her professional full-time crew have maintained her to a high degree, as is to be expected of a high-end charter vessel. 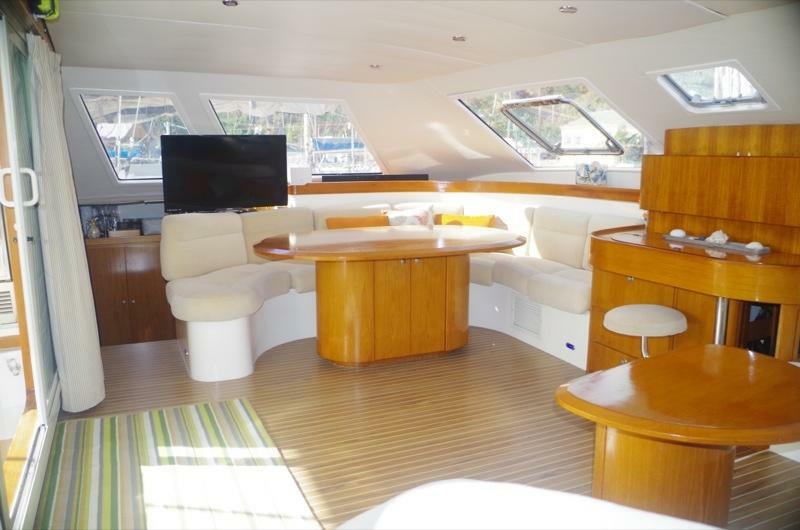 Whilst she would make for a superb world voyager, she could just as easily re-enter the luxury crewed charter market, if so desired. 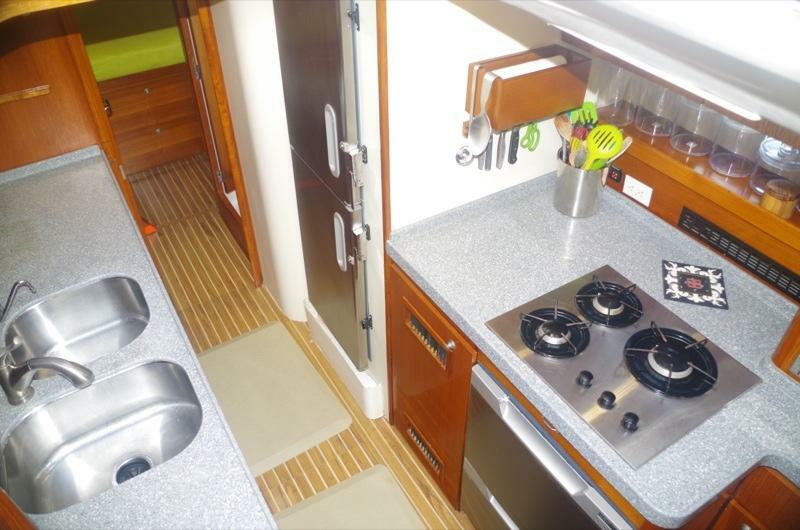 Featuring four spacious en-suite guest cabins, as well as separate en-suite crew quarters. 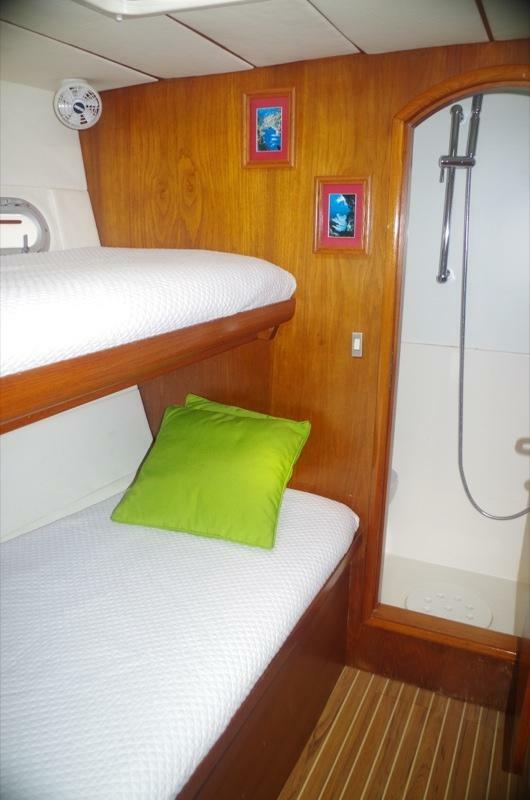 Both aft guest cabins feature queen-size berths with en-suite heads. 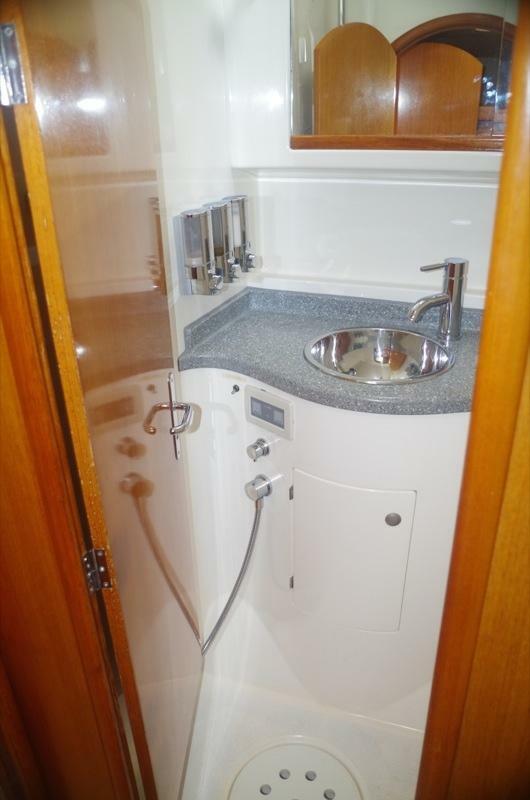 The port forward en-suite guest cabin has under/over single berths, whilst the starboard forward en-suite guest cabin features a queen-size berth. 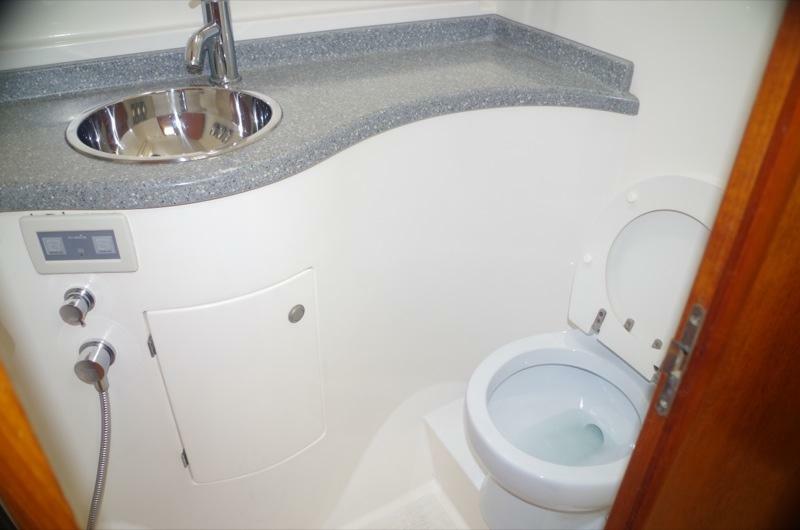 All four heads feature Planus electric toilets (new 2015), basins, showers and vanity cabinets. 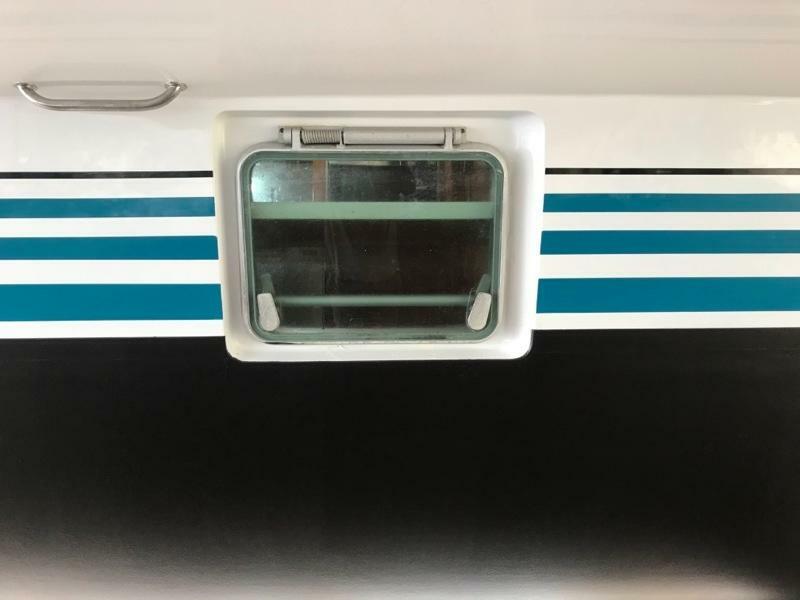 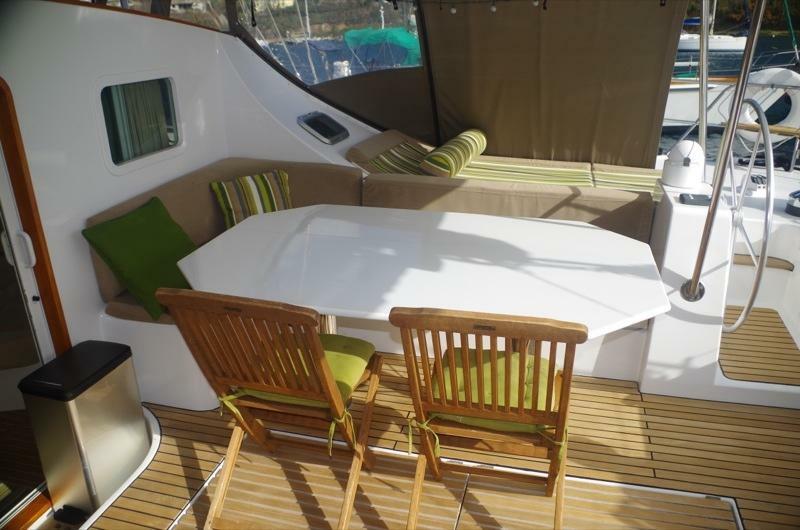 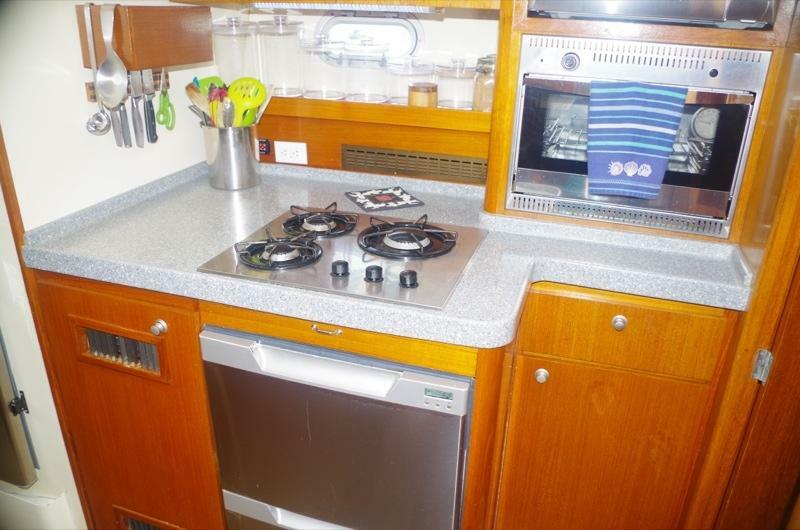 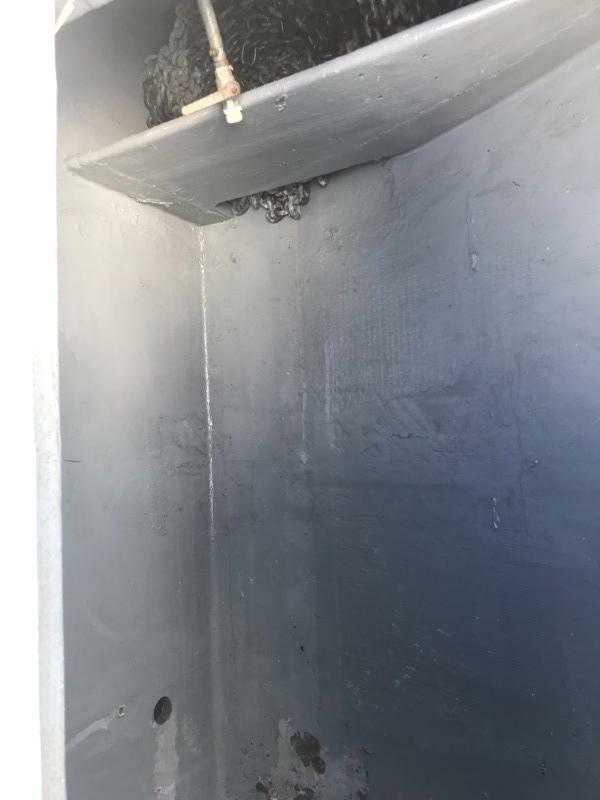 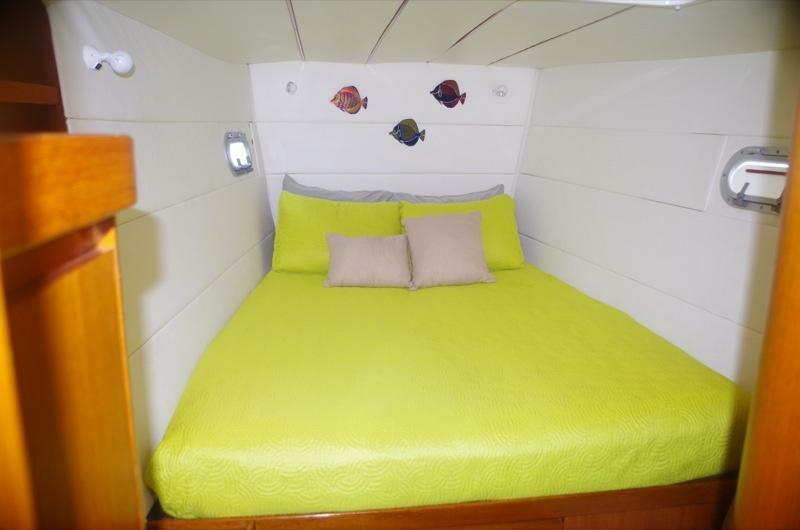 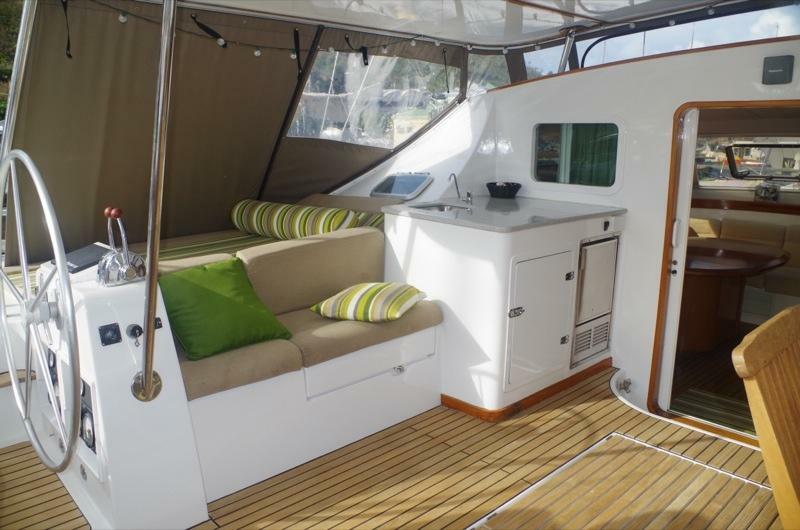 The fifth cabin / crew quarter, with double berth, is located in the port hull forepeak and is accessed through an overhead deck hatch. 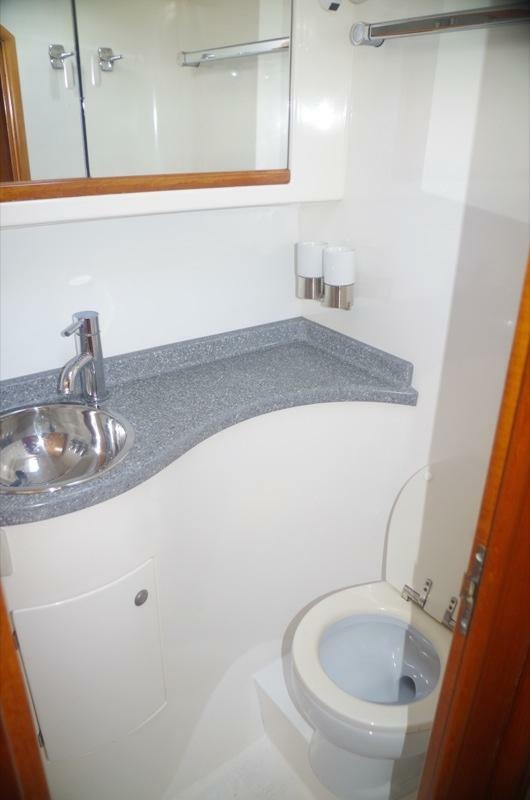 An en-suite head is fitted with an electric toilet and basin. 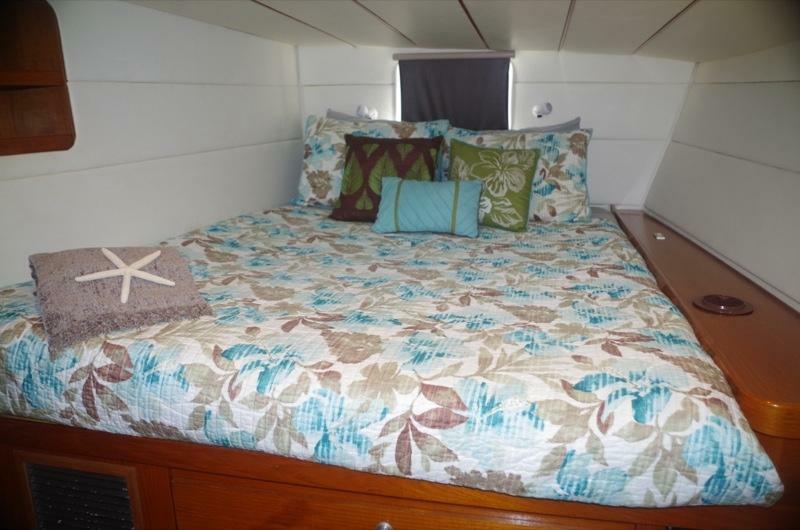 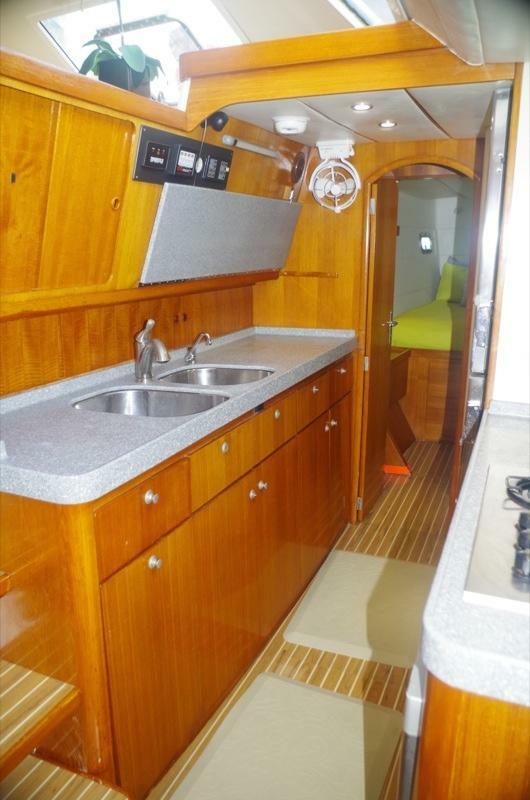 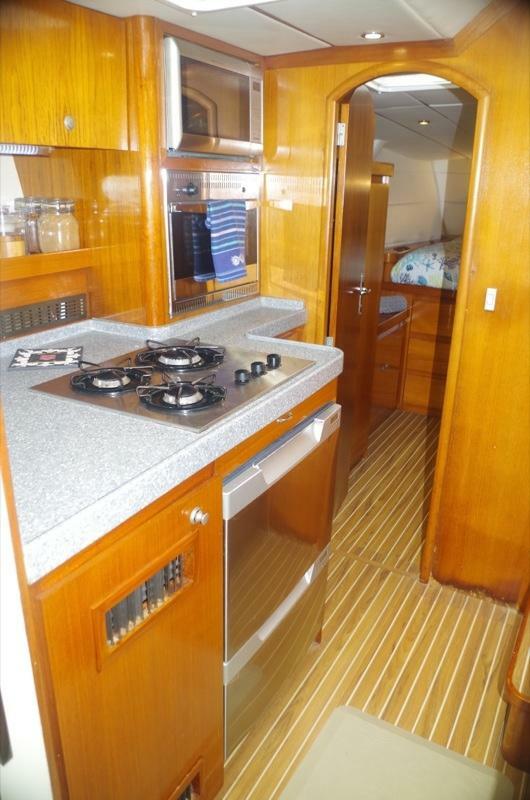 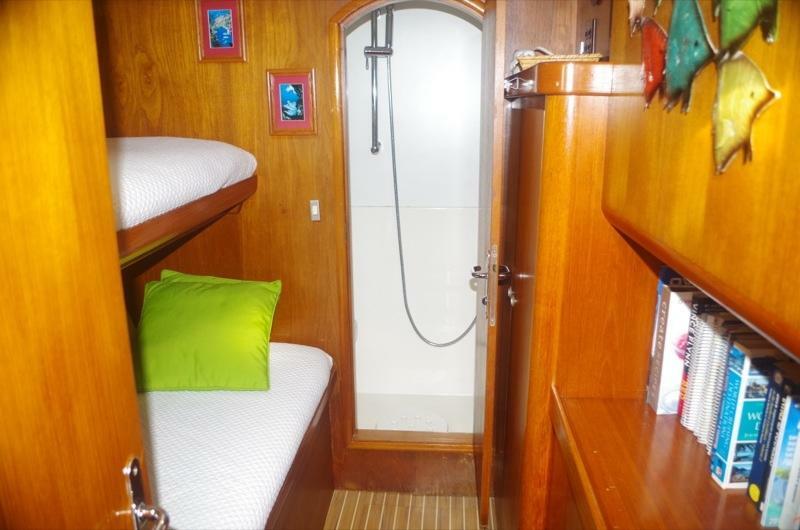 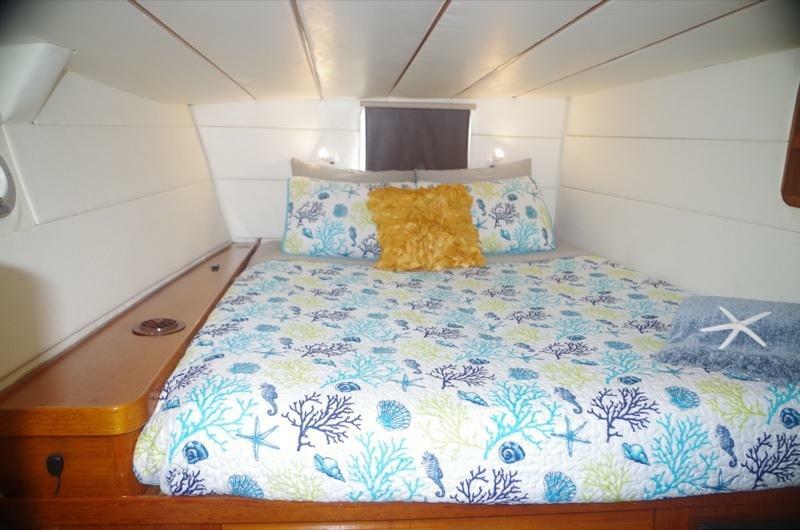 The is plentiful storage space throughout Ad Astra, with under berth lockers, hanging closets and more. 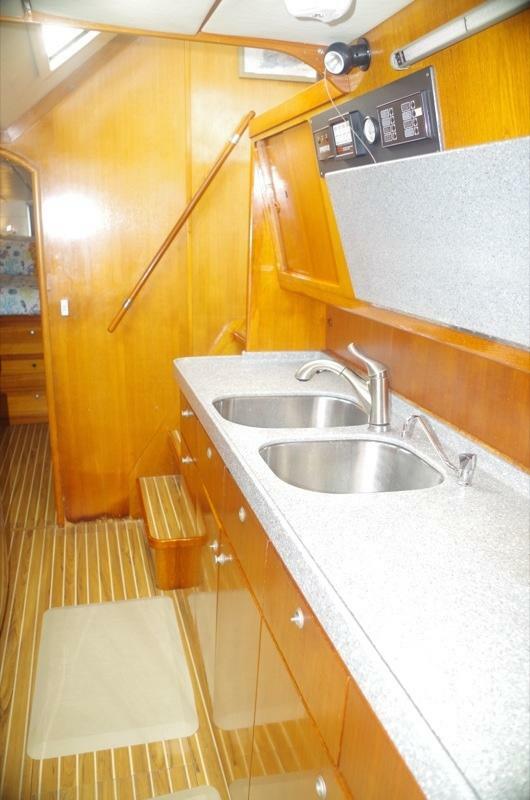 Her longitudinal galley lies amidships in the starboard hull. 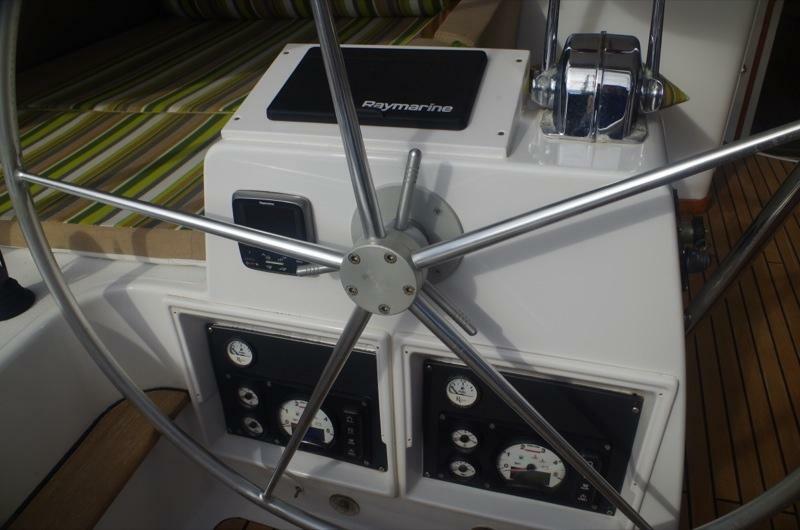 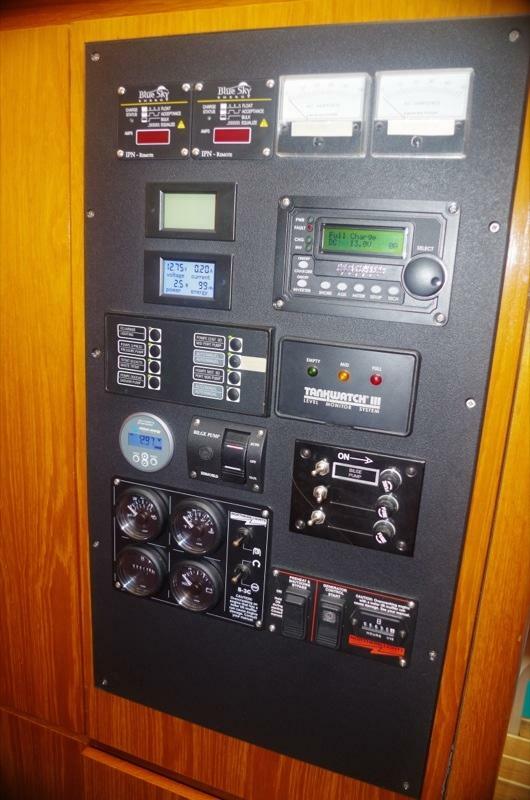 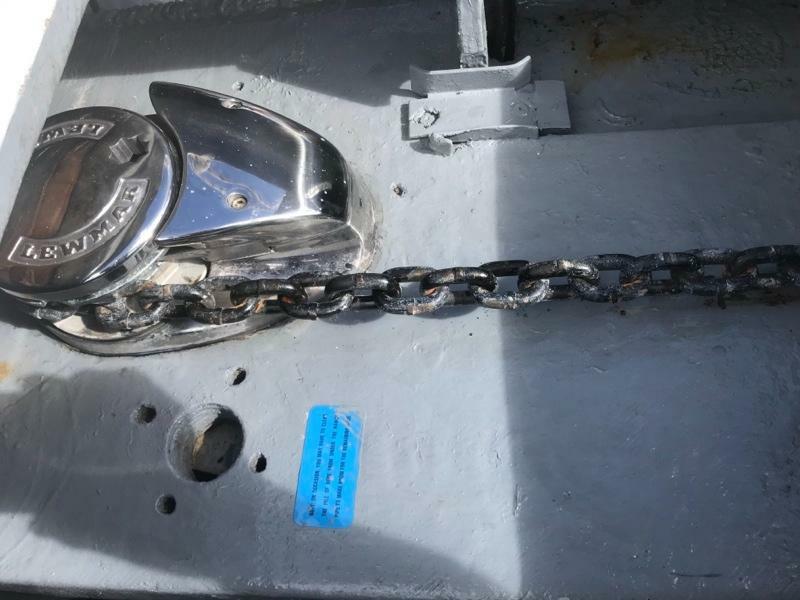 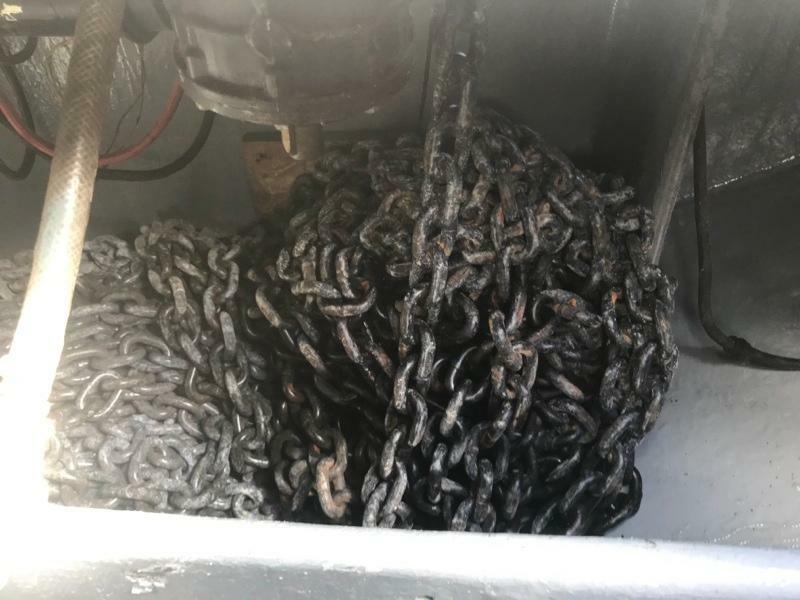 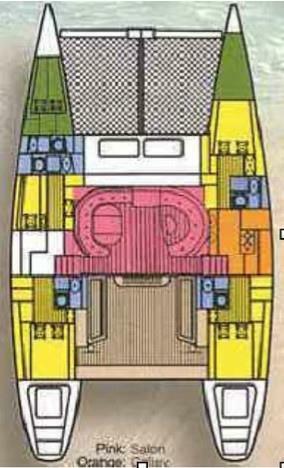 Amidships in her port hull, one finds cabinets/lockers for the electrical panels, battery bank, spares, manuals, etc.